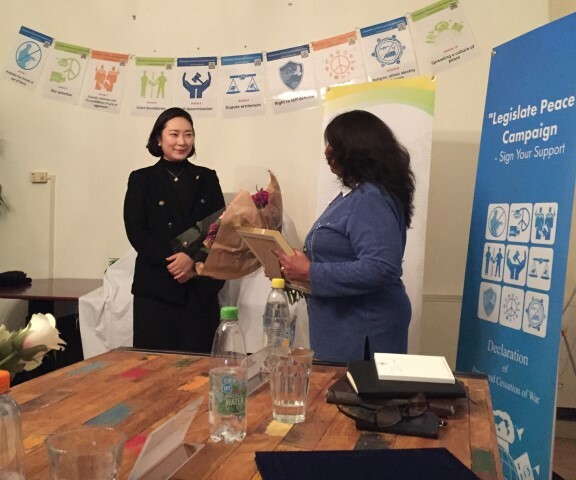 As you know, INLW’s President was asked by the International Women’s Peace Group (IWPG) to participate at a Conference in September in Seoul, South Korea. 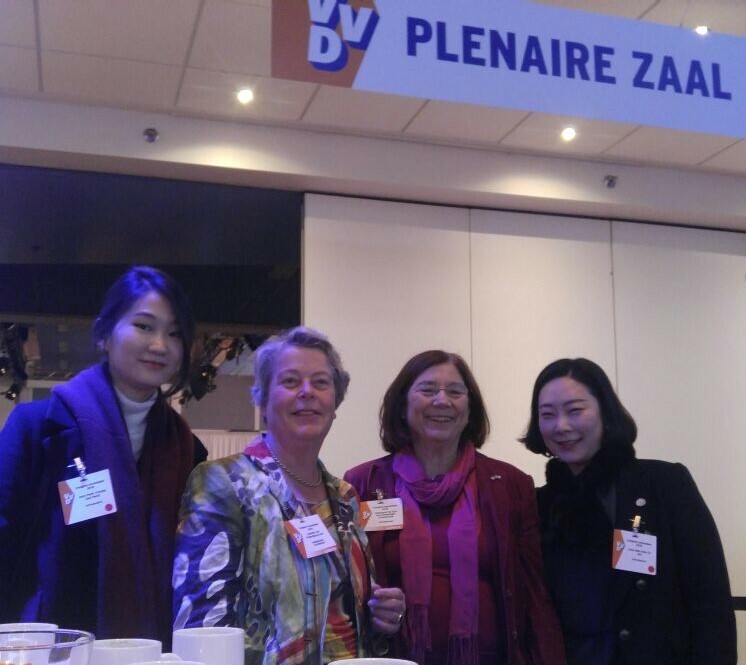 As President of INLW Margaret de Vos represented INLW at different events. The aim of this enormous Conference was to advocate the Declaration on Peace and Cessation of War (DPCW) which was proclaimed on the 14th of March 2016 in Seoul, which in the end should result in an international legal binding document to be adopted by the United Nations and then signed, ratified and implemented by all UN Member States. This to help bring peace everywhere. The IWPG have begun by advocating this DPCW within the world women’s organizations, and this was the reason for inviting INLW. 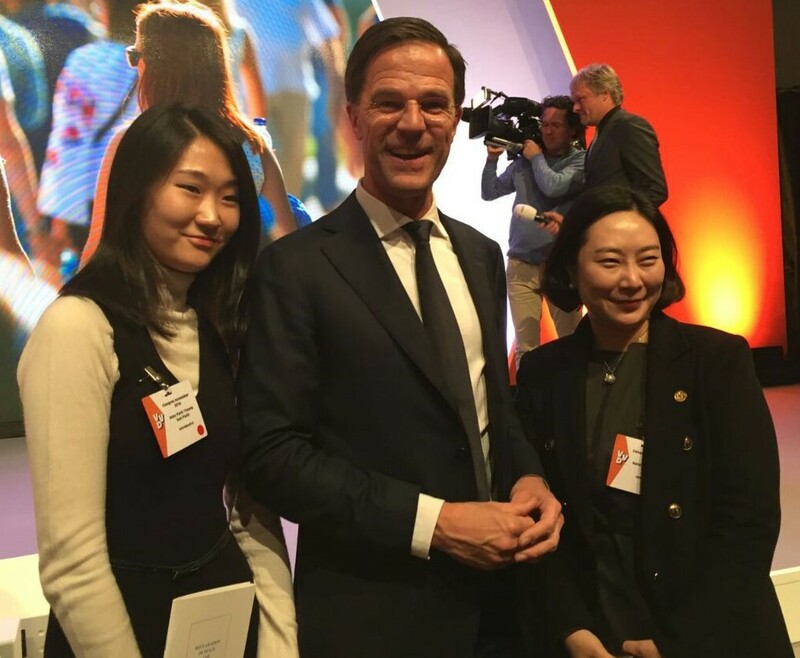 At this moment two of the members who are advocating this DPCW, Amy Park and Kate Kim, are in the Netherlands and making contact with different organizations. 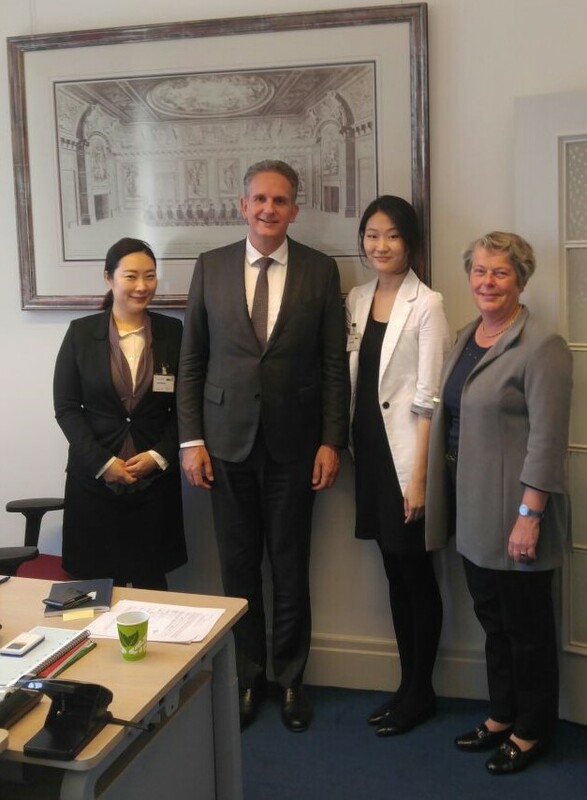 INLW board members, Margaret de Vos and Lysbeth van Valkenburg, made an introduction to two members of Parliament, Ronald Vuijk and Han ten Broeke of the VVD. 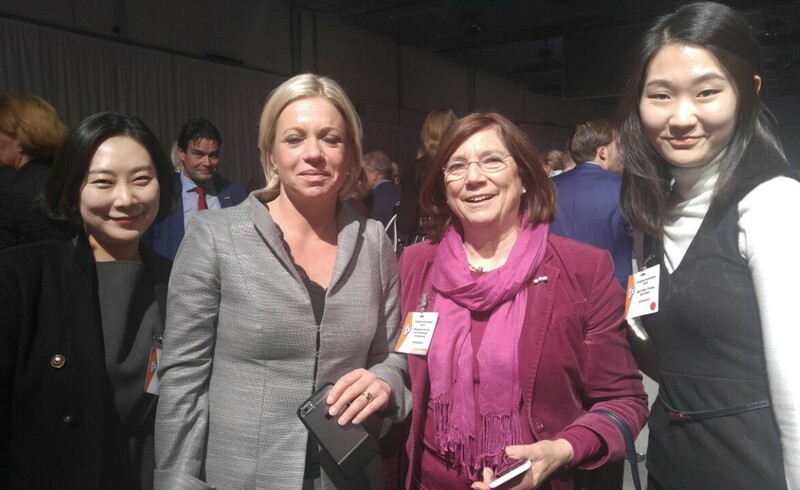 During the General Meeting of the VVD in Noordwijk they were able to meet both Minister of Defense, Jeanine Hennis-Plasschaert as well as Prime Minster, Mark Rutte. 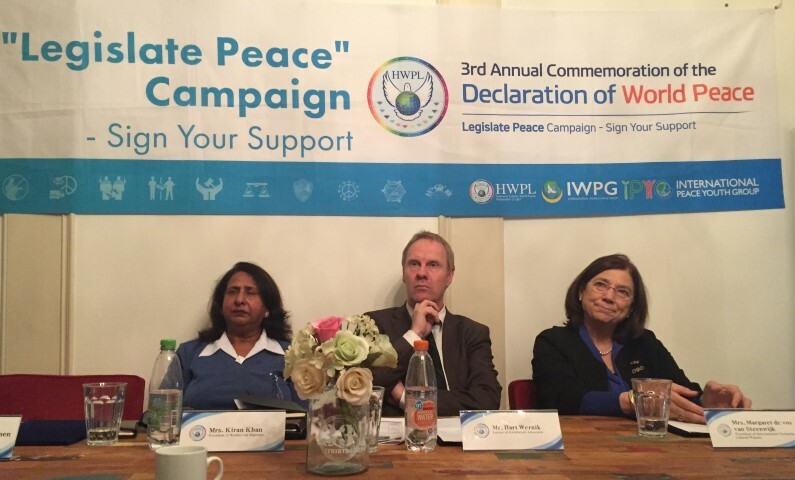 In December 9th, there was a signing Ceremony with HWPL Publicity Ambassador Kiran Kumari. Margaret de Vos spoke as President of INLW on the importance of women’s participation in achieving peace. Both Amy Park and Kate Kim will continue to promote this document and hope the agreement will be handed in at the UN in September 2017 in New York.